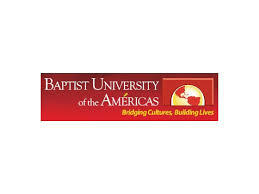 Each year, the excellence of education, the personal size, the encouraging character of the student body and the beauty of the campus and surrounding area draw new students from diverse cultures all over the world to Baptist University of the AmTricas. We take pride in bridging cultures to share the word of God: three out of every four Hispanic Baptist pastors in Texas attended BUA, and we have extension centers in three countries, with plans for further expansion. At BUA we will offer you a full 4-year program of study, a superb personal scholastic environment, an outstanding faculty, affordable tuition, and a full range of scholarships and financial assistance.